Where senses are stimulated, stirred and gently realigned. An annual holiday tradition for Chicago visitors and residents alike is experiencing the festive BMO Harris Bank Magnificent Mile Lights Festival, the nation’s largest evening holiday celebration right on the city’s famed Michigan Avenue. On November 22, just steps away from Park Hyatt Chicago, you can enjoy a variety of activities with the family in celebration of the advent of the holiday season. 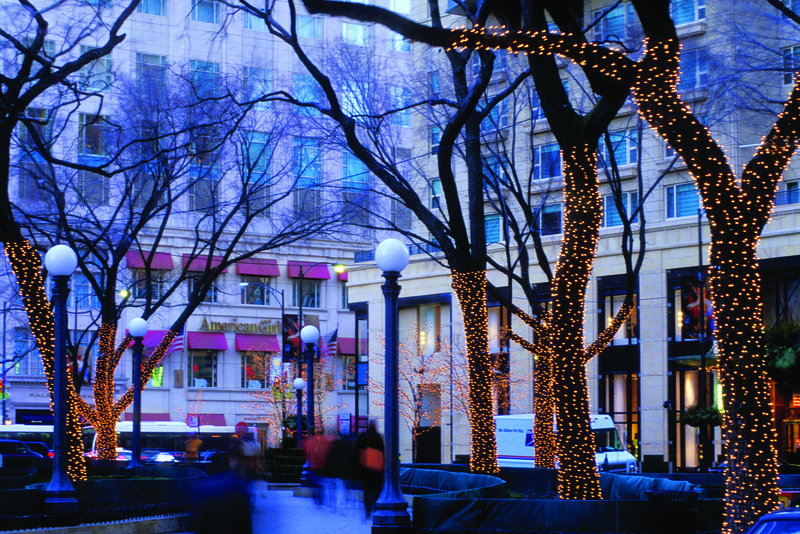 Family –friendly events are abound including the Lights Festival Lane, which features a Kids Corner and several Magnificent Mile vendors as well as concerts by top musical artists at the BMO Harris Bank Stage. The festival culminates with a grand Tree-Lighting Parade traveling down Michigan Avenue, and marshaled by Mickey and Minnie Mouse from Walt Disney World, and a Fireworks Spectacular show over the Chicago River. 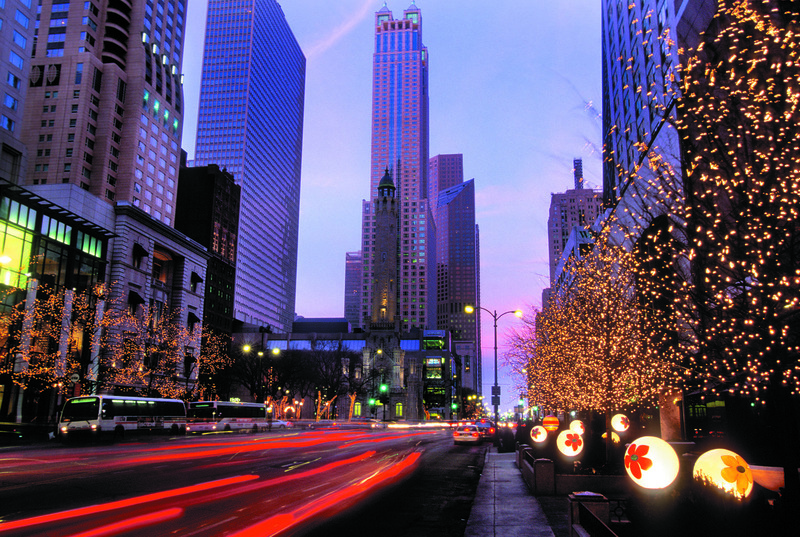 With Park Hyatt Chicago right on the Magnificent Mile, it’s the perfect place to accompany your holiday evening! Whether you pop into NoMI Kitchen for some light bites and a spectacular view, indulge in NoMI Lounge’s signature Park Chocolate Bar, or stay the night in one of our exquisite rooms – you’re sure to enjoy the night knowing you’re only a few steps away from the festivities! Book your Festival of Lights getaway today to enjoy our exceptional offerings for a fabulous and fun weekend stay! Memorial Day Weekend is the perfect time to embark on a three-day weekend journey to Chicago. The weather will be gorgeous, the beaches will be open, and a variety of fun events take place throughout the city. Chicago Gaelic Park Irish Fest – (May 23 through 26, 2014): The annual Irish Fest offers live entertainment, dancing, storytelling, and family entertainment in Oak Forest. Memorial Day Parade – (May 24, 2014): Wreath-laying ceremony takes place at 11:00 am at the Eternal Flame on Daley Plaza. The Memorial Day parade celebrates high-school marching bands, drum, bugle corps, veterans’ groups and active duty military on State Street all the way to Van Buren. Bike The Drive – (May 25, 2015): Bike up to 15 miles each way on Lake Shore Drive when it’s shut down for five hours during the “Bike The Drive” even which encompasses 30 rustic miles of scenic views, without a car in sight. Book our Stay more, Save More package to receive 30% savings on your Memorial weekend guest room rates. April is a wonderful time to visit the city of Chicago for many reasons. The weather’s getting warmer, baseball season begins and a variety of outdoor and indoor activities begin to ensure each weekend is activity packed and fun-filled for locals and visitors. Opening Day at Wrigley Field and 100 Year Celebration of Wrigley Field – April 4, 2014 The Chicago Cubs first game of the season takes place Friday, April 4. The Cubs play the Philadelphia Phillies Friday through the weekend. This is also Wrigley Field’s 100 Year Anniversary, and they’re celebrating throughout baseball season with throwback uniforms, special menus, celebratory events and more. IPW 2014 – April 5 through 9, 2014 U.S. Travel’s IPW 2014, the travel industry’s premier international marketplace and largest generator of Visit USA Travel is coming to Chicago. The travel event includes a variety of travel organizations, international and domestic leisure, meeting and incentive buyers and more. Easter Brunch at NoMI Restaurant – April 20, 2014 Enjoy a luxurious feast this Easter Sunday at NoMI Restaurant. Sample a variety of delectable options from our five lavish chef stations as well as a sumptuous selection of a la carte offerings. WhiskeyFest – April 25, 2014 The 15th Annual WhiskeyFest Chicago offers more than 300 whiskies from around the globe, seminars conducted by whiskey experts and more. Baconfest Chicago – April 25 through 26, 2014 Chicago’s best chefs serve creative bacon dishes and drinks for lunch and dinner throughout the weekend and UIC Forum. April has also been announced as Bacon Month in Chicago, and many participating restaurants have created special cocktails and menu items in honor of this event. 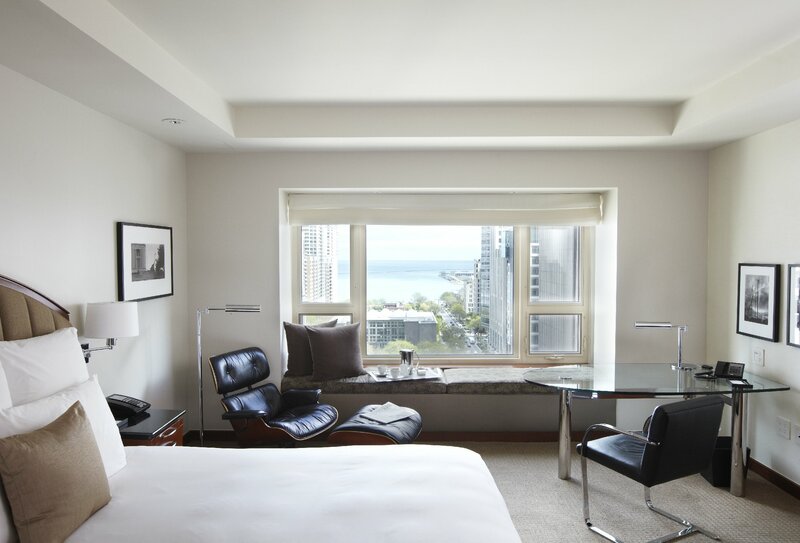 Now that we’ve listed several reasons to visit Chicago this spring, visit our website and enjoy our Stay More, Save More Package, which includes up to 30% savings on multiple night stays. Pamper your loved one at Park Hyatt Chicago this Valentine’s Day, without ever having to leave the hotel. Enjoy a weekend of romance with our Stay More, Save More package, which offers 20% savings on two-night stays and 30% savings on three or more night stays. Click here to book now. Join us up in NoMI Kitchen for dinner on Friday, February 14, 2014 for an exquisite four-course dinner menu, featuring an array of options including hamachi crudo, oxtail and foie gras terrine, prime beef filet, ricotta gnocchi and desserts such as lychee bavarian or chocolate bombe for $125 per person. Reservations are recommended. NoMI Spa’s Valentine’s Offer includes a romantic “Suite Retreat” available from February 13 through 17, 2014. Enjoy a relaxing customized couple’s massage following by your private “suite retreat time” to enjoy the kholer steam shower, NoMI chocolates and tea paring, and a special gift with a note to your valentine personalized by you, all in the comfort of your private spa suite. If you’re searching for gift recommendations, a spa certificate from NoMI is always a great choice to give the gift of relaxation. Book your Spa reservation now.